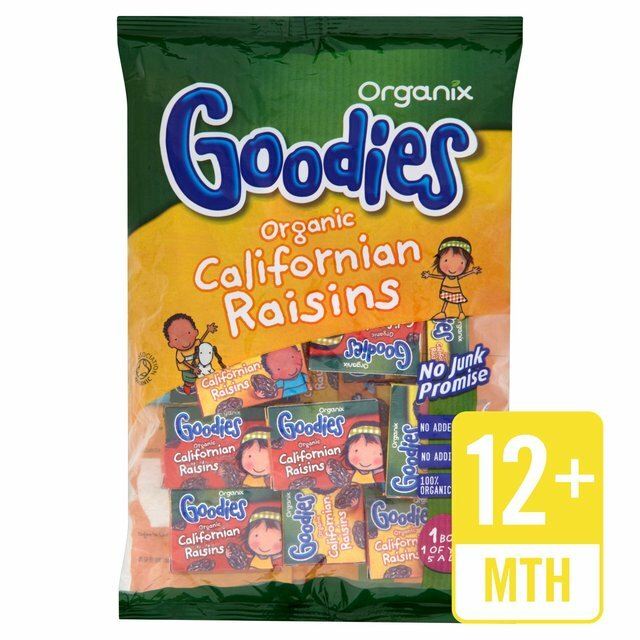 For little explorers on the go... our juicy raisins come in handy mini boxes so they're great for lunchboxes and out and about. †Each little box of raisins counts as 1 of a child's 5 a day. Organix wants a world where healthy nutritious food is a real choice for everyone. We're committed to setting standards in our food and never adding anything unnecessary. It's our No Junk Promise. We campaign for better food choices because we want the best for you and your family every step of the way.